It kind of says it all in our name, we are 'THE' Coffee House, we pride ourselves in servibng only the tastiest coffee, supplied to us from the best of the best. How do you get better than that! The fact that they a literally next door just makes us the perfect team. All our coffee is provided by Coffee Care Yorkshires leading Coffee suppliers, this year their Rainforest Alliance certified El Salvador Monte Sion Estate coffee was awarded 1 star by the Great Taste Awards. Beautifully sweet and balanced, with good body it is light and refreshing making it a perfect coffee for all day drinking. The 80s provided quite a different market place for coffee than the espresso led industry of today. However, some things have not changed as Coffee Care’s ethos was always to supply and blend the finest coffees using knowledge and experience to make quality accessible to all. The most exciting thing about coffee is that its flavours can vary so greatly depending on its origin, roast, blending and brewing methods. That’s why we offer a large range of coffees with different roast levels, from dark roasted espresso blends to medium roasted blends and single origin beans, some specifically ground for filter or cafetiere and a selection in retail packs for individuals to enjoy at home. To make preparing it easier we pack it in scoop out sachets and portion packs. Espresso Lorenzo - Our best seller with rich, dark chocolate and hazelnut notes which develop into a smooth, nutty milk chocolate finish when milk is added. This dark roast cuts through milk resulting in a blend that is perfect for making cappuccinos and lattes. 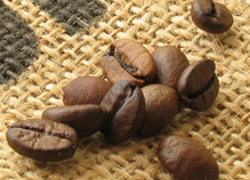 Espresso Lorenzo was Coffee Care’s first espresso blend, developed when the espresso market first took off in England. Café Continental - A rich, dark, intense espresso blend in true Southern Italian style – not for the faint hearted. 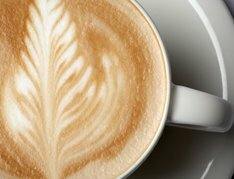 Café Provence - A smooth, mellow espresso blend with a hint of chocolaty Mocha – makes a good long coffee such as Americano. A blend developed to complement French style espresso based drinks. Caffe Napoli - A soft, chocolaty espresso blend, featuring high quality Mocha coffees similar to those favoured in Central Italy. One of our milder espresso blends.